I'm a few weeks late, but I hope this can still provide some inspiration for my students and others! Welcome back: you career starts now! PRACTICE FLEXIBLE THINKING EVERY DAY Your new flute teacher just told you to do something completely different from what you learned in high school? Dedicate yourself to this new idea wholeheartedly and with faith in your teacher. If it doesn’t work for you, you’ll both know it and can make adjustments, but you’ll never really know if you don’t thoroughly test the new technique. You were first chair in all-state band four years in a row and now you’re at the bottom of the heap in your studio? Embrace the opportunity to learn from your older, more experienced peers and be inspired by all that the people in your studio have accomplished--you will become a leader, too, in time. Be always open to new ideas and ready to learn from other people. Not just now, but forever. DEVELOP MEANINGFUL RELATIONSHIPS Let your teachers get to know you so that they can be the best mentors possible. Your relationship with your mentors can (and should!) last a lifetime. Be a good colleague to your classmates. Seek out classmates who inspire you and cultivate musical friendships. Your classmates today will be your colleagues in the future. TAKE YOUR CLASSES SERIOUSLY Your music theory and history classes are making you a better, smarter musician and teacher. Take general-credit classes (those much-bemoaned “gen eds”) that interest you and might feed into your career goals. And even when you can’t see the point in a class, take it seriously and get an A. If you’re planning on going to graduate school, that high GPA will put you at the top of the list for scholarships and assistantship consideration. TACKLE CHALLENGES HEAD-ON If you know that you suffer from performance anxiety, make sure you are forcing yourself to perform regularly to become more comfortable on stage. When you’re in the practice room, don’t waste time playing the things you already know; tackle the tough passages systematically and thoroughly so that you have conquered the piece entirely. Making yourself uncomfortable leads to incredible growth; avoiding challenges leads to absolutely nothing. FIND YOURSELF The musical community is becoming a more creative, dynamic place. Never before have there been so many opportunities to develop your own path as a music entrepreneur. Explore every opportunity you are offered and get to know the different paths you could take (or create for yourself!) as a musician. By the time you’re looking at graduate schools, you should have an idea of your particular strengths and special interests as a musician to help guide you in the next steps. If you go on to teach in the public schools, your diverse experiences will give you a wealth of ideas and techniques for keeping your students engaged and in love with music. STAY POSITIVE It’s easy to get bogged down in the minutiae of day-to-day assignments, lectures, and all of the less inspiring requirements of the degree. Don’t let it take all of your energy--it kills morale and creative thinking. Make time to dream about your future, and practice creative thinking every day; try to think of a problem or flaw in some part of your life and imagine all the different ways in which you could fix it. You’ll train yourself to see the world this way, and you’ll never run out of inspiring ideas to fuel your career. SEEK INSPIRATION Surround yourself by positive, talented people who are doing exciting things. Listen to great players and attend guest lectures and master classes given by people who amaze you. Be aware of how you fill your free time and assess what it’s doing for you. For instance, I have found that browsing Facebook seems to sap my energy and deplete ambition. Conversely, checking to see the latest projects my musical heroes are posting on YouTube or their personal websites makes me want to do something great. Be honest with yourself: what makes you excited to be alive? Keep doing that. You are in charge of your own motivation to create, practice, and keep getting better. SAY YES Beyond the incredible flute studio that you have chosen to be a part of, your school will offer you a wealth of opportunities to enrich yourself. Hear the lecture given by that Nobel Prize-winning scientist across campus this semester. Go to any and all faculty and guest recitals, regardless of instrument. Make a habit of attending the local art museum regularly, and see your classmates’ art shows. And when you’re invited to participate as a flutist in some weird and wacky way as part of another’s creative endeavor, do it! Allow your university and its surrounding community to amaze you every day. A good student diligently completes every assignment with purpose and clarity; an inspiring artist also looks to wring every last drop of life from his or her surroundings. Make the most of your time in college by thinking creatively and fully exploring your opportunities. Not just now, but for the rest of your life. Hi, Nicole - I so enjoy your blog. It translates perfectly to visual artists in training (and life) as well. Though I'm a painter now, I played flute in high school, and learned that practice practice practice changes things. When I'm asked now about kids studying art, I always advise them to play an instrument. Why? Because you can't breeze through by faking it, or by theoretical/verbal explanations of what you've done, as is possible now with the visual arts. I owe where I am today as a painter to my 6 years as a flutist in high school band. I struggled with tone, always fighting my overbite, but had the satisfaction of improving on seemingly impossible passages by time and work. I learned dedication and perseverance and an understanding of what it takes to keep improving. Your blog reminds me of all of that. Thank you and a big hello to Verismo!!! 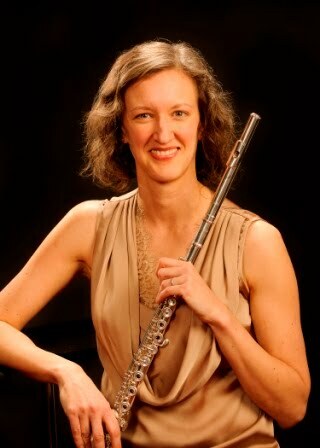 Jo, I didn't know you played flute! :) Your comment is so inspiring for musicians--I wonder how the visual art world could best grapple with that delicate balance of discipline vs. creativity? And how do we do it as musicians (I fear we are sometimes better at the discipline than the creativity, actually! )?